Comprehensive and complete project management tool leveraging state of the art methods and techniques for successful project planning, execution and reporting. Excellent project software for modern project managers. P2ware Project Manager 7 is available in English, French, Spanish and Polish languages. 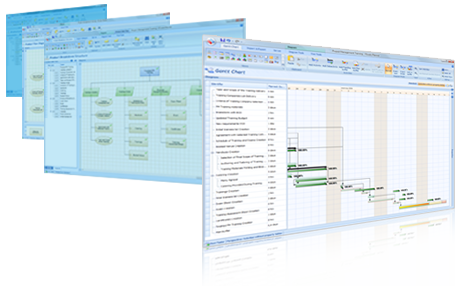 Extend proven Project Manager 7 software to the new level of programme and portfolio management. This leading edge portfolio management software integrates project management information with vital systems of your organization. Implement strategies, manage projects delivering actual benefits and new capabilities. The tool containing everything you need to learn, tailor and embed PRINCE2® to increase productivity and efficiency of your organization through better project management. Effective project management server and a centralized repository for all project documentation. Use modern web based user interface to manage multiple projects and teams, access and update important project information on any device wherever you want. Every company is different. Leverage our consultants’ experience coming from multiple implementations and build project management solution perfectly tailored to the specific needs of your industry. 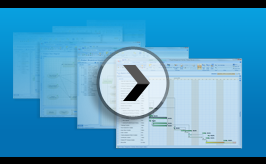 The P2ware Suite can be user-modified to align with any project management method or standard and with organization own rules and in-house templates. The software makes it possible to use effectively both your own experience and project management best practices. Learn P2ware Project Manager in several minutes and see that project management and planning does not have to be difficult. A new and improved version of our project, programme and portfolio management software will soon be available. The version 8 includes a better user interface, many improvements to make work faster, improved diagrams and many more. Buyers who will purchase licenses for version 7 will receive a free upgrade. We will soon release the cloud-based version of the P2ware system. It's a fully scalable solution, optimized to work in different environments, from individual users to business applications (on-premises and private cloud) and large multi-tenant systems. The application allows use by users of different operating systems and mobile devices. Work is currently underway to implement the P2ware system for managing projects carried out by one of Poland's City Offices. The system supports the connections between these projects and the development strategies of the province and the city, strategic objectives and operational programs, as well as the specific forms of their implementations. Multiconsult, for project portfolio management, from business initiatives and tender procedures to acceptance, in the industries of technical and environmental consulting, as well as rail and road transportation.